Mary, Queen of Peace Catholic School is a Catholic elementary school for boys and girls in Pre-Kindergarten through Grade 7. Established in 1996, it serves the families of the Mandeville and Covington area. In this capacity, it has educated many students in the Catholic tradition, giving them the moral and academic foundation from which to develop prosperous and fulfilling careers. 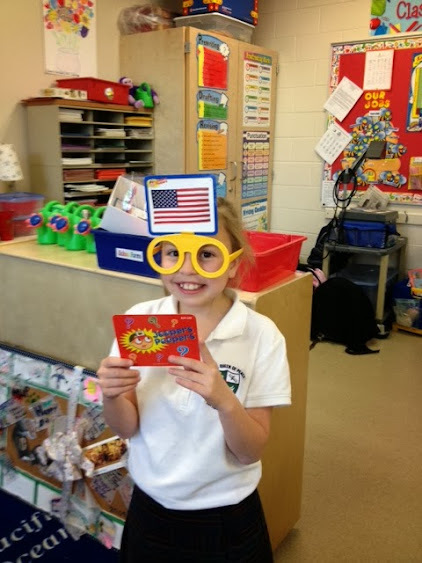 Takes pride in the Mary, Queen of Peace educational experience and is ever grateful for the foundation received. Appreciates God-given gifts and recognizes the need to share time, talent, and treasure with those less fortunate. Is well rounded intellectually, physically, and socially. Values the importance of education and is dedicated to the pursuit of truth, knowledge, and higher learning. Projects a self-confidence that inspires acceptance of the challenges of daily life. Exudes a healthy respect for self, others, and God’s creation in all of its diversity. 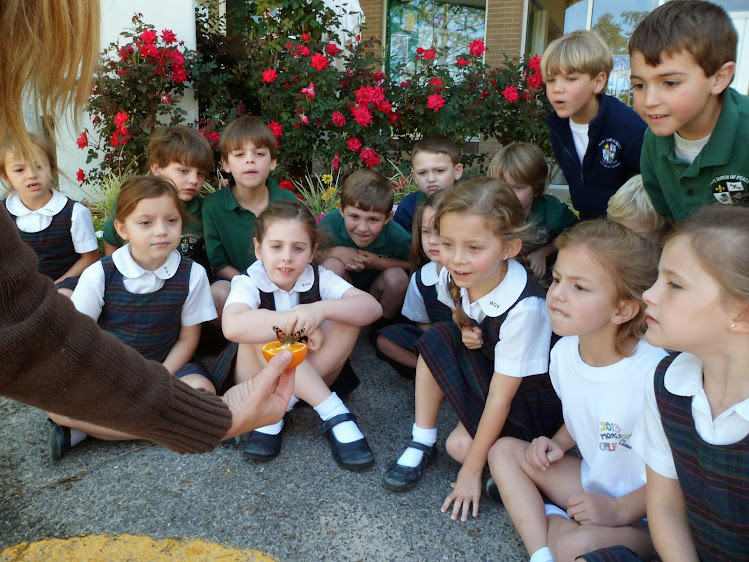 The Early Childhood program at Mary, Queen of Peace encourages curiosity and emphasizes respect for self and others. The three or five day full day Pre-Kindergarten 3, Pre-kindergarten 4, and the Kindergarten programs introduce students to the school and prepare them for success for future learning. The Early Childhood curriculum seeks to cultivate a sense of wonder in young children about themselves, their world, and their God. It develops within each child an awareness that he or she is special within the framework of a loving, Catholic atmosphere. In this environment, children are introduced to letters and sounds, counting, centers, and religion. 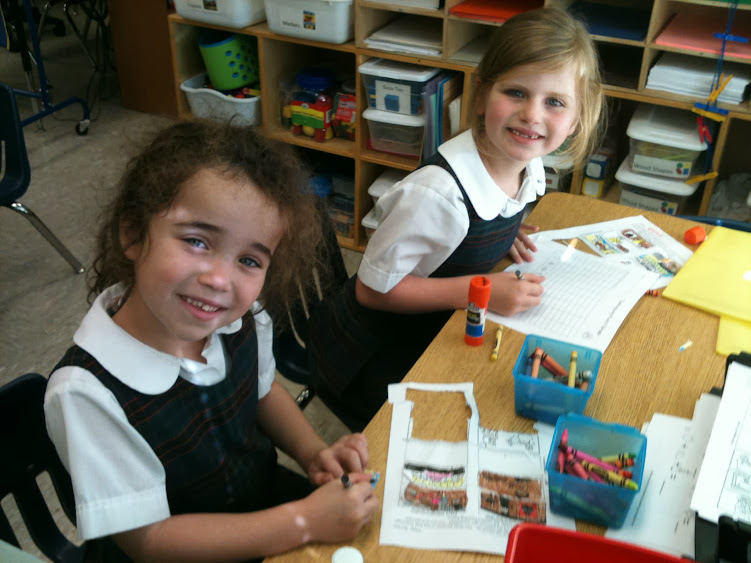 By Kindergarten, children receive instruction daily in language arts, math, science, social studies and religion. Additionally, all early childhood students attend weekly P.E., art, computer, music, library, and Spanish classes. This well-rounded program enables students to develop academically, socially, and spiritually, and encourages them to become lifelong learners. Each classroom is staffed with both a certified teacher and a full-time assistant. Pre Kindergarten 3 students must be 3 years old by September 30. Pre Kindergarten 4 students must be 4 years old by September 30. And Kindergarten students must be 5 by September 30. All Pre Kindergarten/Kindergarden students must be completely potty-trained. students can achieve academic success and become lifelong learners. By the time students reach sixth grade, they are ready for new educational, physical, emotional, and spiritual challenges. The middle school at Mary, Queen of Peace provides them with educational and extracurricular opportunities that awaken their minds and bodies and fulfill their needs for new learning experiences and leadership roles. 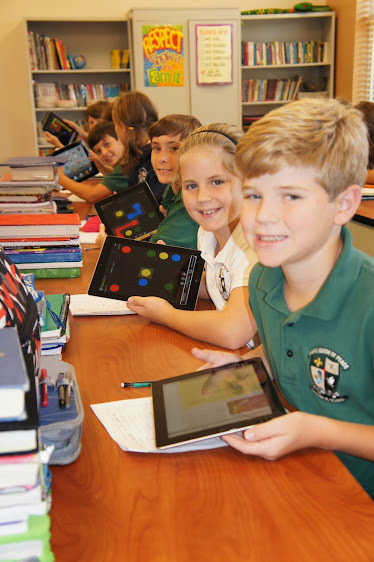 The middle school, comprised of sixth and seventh grades, helps students grow and develop into responsible, inquisitive adolescents, while preparing them for the academic and social rigors of high school. It’s a two-year journey during which students begin to define their sense of self and hone their interests and talents in particular disciplines while developing their leadership skills. 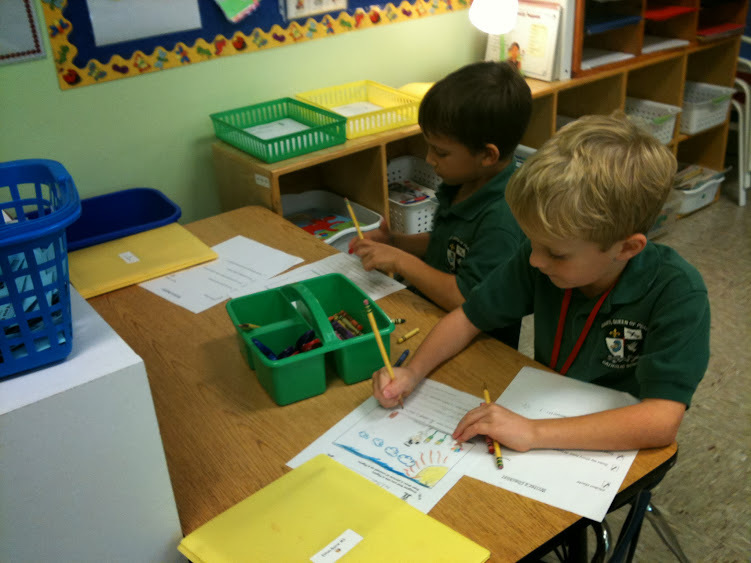 Speech therapy is offered to Mary, Queen of Peace students through the St. Tammany Parish School System. The Archdiocesan Food Services Program is available through the cafeteria. Students are served a hot lunch daily. They also have the option to provide their own lunch. They may opt to eat breakfast daily in our cafeteria. Free/reduced lunches are available for those students who qualify. An after-school program is provided five days a week for students in grades Pre-K through 7th until 6:00 PM. Parents may choose to pay daily, weekly, or monthly for this supervised service. Bus transportation is available in qualifying areas through the St. Tammany Parish School System.